- Working location: 208 Nguyễn Đình ChiểuPhường 6, Quận 3, Hồ Chí Minh LOGIVAN is a $7.9m venture-funded start-up in the logistics space. By matching available trucks to cargo loads, our real-time solution is transforming the way people book trucks, moving Vietnam's economy forward and most importantly improving the lives of our 27,000 truck drivers. LOGIVAN offers you the chance to lead a dynamic team and use your skills to build a part of Vietnam's future. LOGIVAN has already won a number of awards, for example best start-up at RISE, Asia's largest tech conference and the UBER Exchange programme to meet UBER CTO Thuan Pham. The company has been featured in more than 100 TV and media appearances, including Forbes, Tech in Asia, E27, VTV and Business Insider. But this is only the beginning. With you leading the engineering team, we could go so much further. 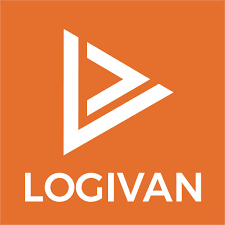 LOGIVAN is looking for a talented Director of Engineering to lead our dynamic engineering team. The successful candidate will have a proven track record in engineering management at an innovative company.